We get a close look at Wizards of the Coast's newest competitive online Magic: The Gathering experience and have loads of closed beta codes to hand out. Magic: The Gathering was first released way back in 1993 and quickly became one of the world’s most popular games. It has had multiple expansions and digital editions over the years, but creators Wizards of the Coast have built an all new digital platform for Magic play and distribution known as Magic: The Gathering Arena. 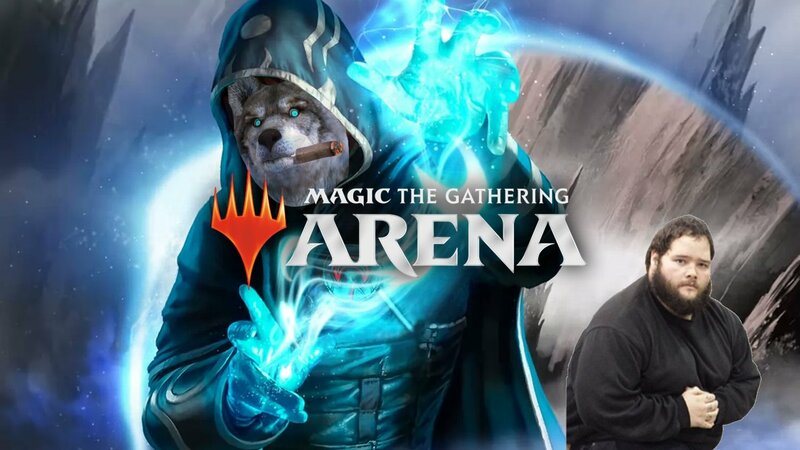 Unlike previous MTG video games, Arena aims to streamline the digital Magic experience by offering the ability to play on PC while keeping up to date with the latest physical expansions. On today’s episode of Please Take A Look, the Shacknews streaming gang dives into the Magic: The Gathering Arena Closed Beta. As is usually the case, The Wolf has never encountered Magic prior to this stream and expects to learn the game on the fly (likely to the frustration of the viewing fans). The fun begins at 7:00 PM ET (4:00 PM PT) on the Official Shacknews Twitch Channel. Keys that grant access to the closed beta will be given out during the stream and following the stream on the Shacknews Chatty forum. Get your MTG Arena Closed Beta Keys here! - please respond with which code you took and join us on the stream! I'm assuming you need a weird client to use these codes? I cannot believe you guys are using the "say no to crack" guy in the image. I thought that was crabs!